As society becomes more concerned with the future of our planet, the study of apocalypse and eschatology become increasingly pertinent. Whether religious or not, peoples’ views on this topic can have a profound effect on their attitudes to issues such as climate change and social justice and so it cannot be ignored. This book investigates how different approaches in historical and contemporary Christian theology make sense in reflecting about the final things, or the eschata, and why it is so important to consider their multi-faceted impact on our lives. 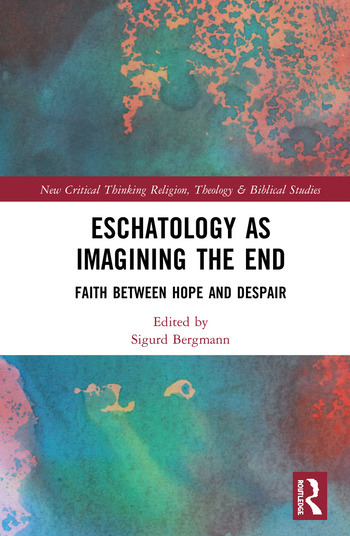 A team of Nordic scholars analyse historical and contemporary eschatological thinking in a broad range of sources from theology and other related disciplines, such as moral philosophy, art history and literature. Specific social and environmental challenges, such as the Norwegian Breivik massacre in 2011, climatic change narratives and the ambiguity of discourses about euthanasia are investigated in order to demonstrate the complexity and significance of modes of thinking about the end times. This book addresses the theology of the end of the world in a more serious academic tone than it is usually afforded. As such, it will be of great interest to academics working in eschatology, practical theology, religious studies and the philosophy of religion. 4 Euthanasia: Does Eschatology Matter? Sigurd Bergmann is Professor of Religious Studies in the Department of Philosophy and Religious Studies at the Norwegian University of Science and Technology, Norway. His interests include theology, studies of religion and the environment, and religion, arts and architecture, and he has published multiple books and articles including, Religion, Space & the Environment (2014), Religion in the Anthropocene (2017), God in Context (2013), and In the Beginning Is the Icon (2009).